or for some dishes that you can take with you. It's always nice to have something more than just vegetarian meat replacements. but have you tried this healthy potato salad yet? It's made with soy yogurt, so it is completely vegan. You can make it in advance and take it with you. You can also make this hash brown side dish, with peas and cheese. It will be a winner with all your guests. You can also grill lot's of vegetables such as zucchini, bell pepper or eggplant. One of my favorite side dishes is sweet potato. and put it on the bbq until it becomes soft and sweet. 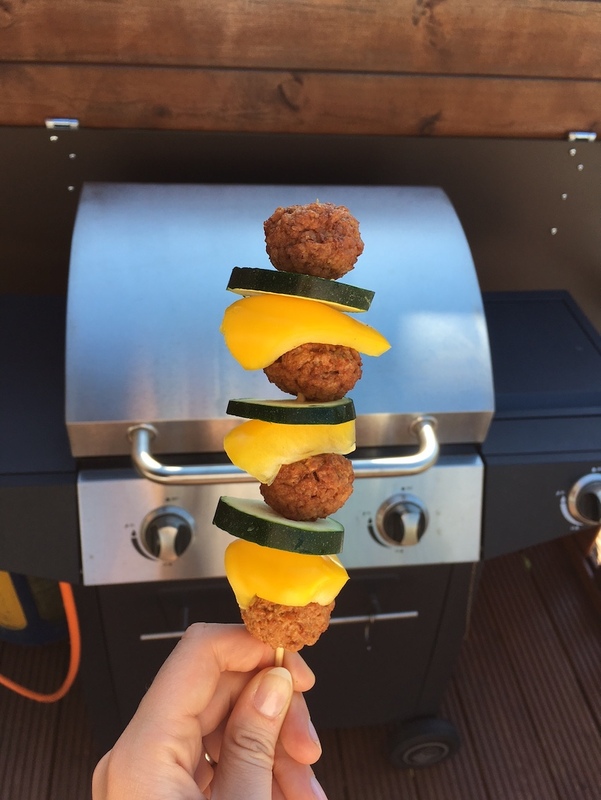 Try making kebabs with only vegetables or with vegetarian meatballs or falafel. In this picture I used vegetarian meatballs, zucchini and yellow bell pepper. 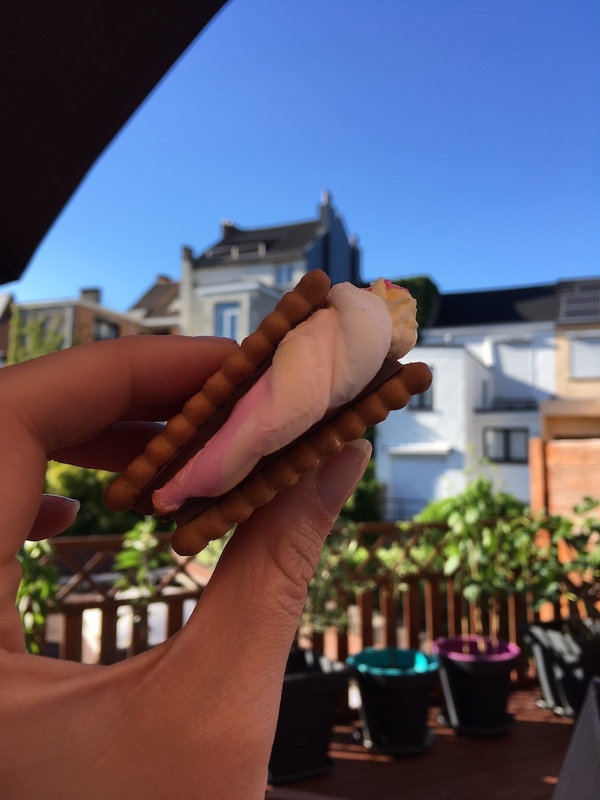 Of course, making 's mores is always a great idea! Take cookies, chocolate and marshmallows. Put the marshallows on a stick and put them above the bbq until they start to melt. Then put the marshallow between the cookies. I end my list with a healthier dessert. Take an apple and slice it in half. Take out the core of the apple. Now place a piece of chocolate in both halves and wrap it in tin foil. 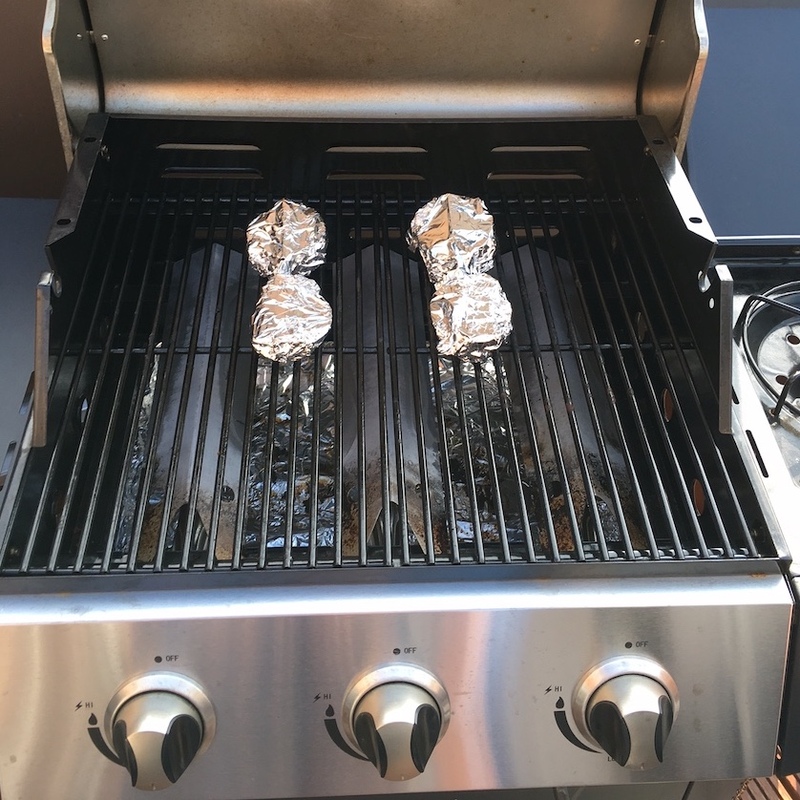 Put the apple on the barbecue until it is soft and the chocolate has melted. Serve with ice cream if you want!